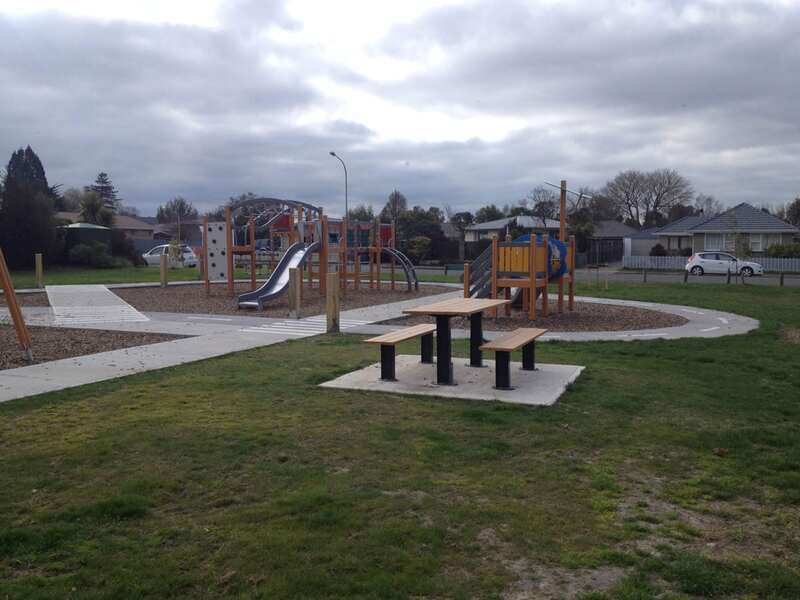 Waimakariri District Council’s vision for Torlesse Park is to provide a unique and exciting play space to attract all ages from around the region. 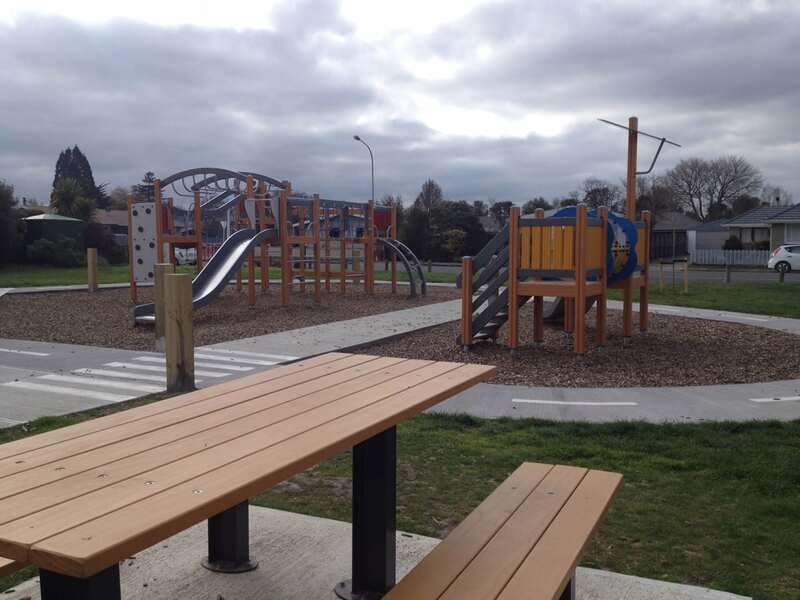 The park is an historic site in which was the first dwelling in the town of Rangiora. The new playground replaced an old concrete castle in which had to be displayed in the new play space but needed to be more open, to prevent anti-social behaviour. The play space had to cover all the play elements provided in the original playground, which included; imaginative/creative play, swings, castle theme, slides, bridges, climbing and overheads. The community also wanted separate play area for younger children. 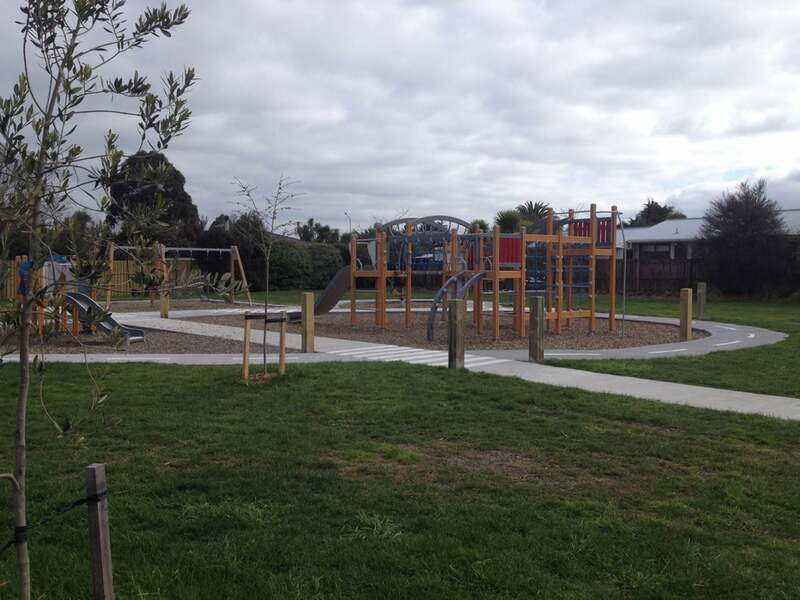 Playground Centre worked with the Waimakariri Council to design the Torlesse Park play space. The residents were initially consulted by the council and they looked to retain the fantasy / imaginative play of the original castle in the new play space. The ‘Motoric Workout’ was specifically chosen as it had a castle/square post theme to it and it provided a large range of developmental skills for a high number of users. The ‘Rabbits Burrow’ complemented the play space through providing a play adventure for toddlers. The thrill of the spinning polka and the swings, gave this play space a complete range of play experiences, in which looked to cater for all ages.